Make yourself at home in one of the 272 air-conditioned rooms featuring kitchenettes. Rooms have private patios. Complimentary wireless Internet access keeps you connected, and satellite programming is available for your entertainment. Conveniences include safes and desks, and housekeeping is provided weekly. Make yourself comfortable in this air-conditioned apartment, featuring a kitchenette with a refrigerator and a stovetop. Complimentary wireless Internet access keeps you connected, and satellite programming is available for your entertainment. Conveniences include a coffee/tea maker, and housekeeping is provided on a limited basis. Satisfy your appetite at one of the campground's 2 restaurants. Relax with a refreshing drink from the poolside bar or one of the 3 bars/lounges. Located in Rovinj, Apartments Bella is a 4-minute drive from Carrera Street and 5 minutes from Katarina Island. 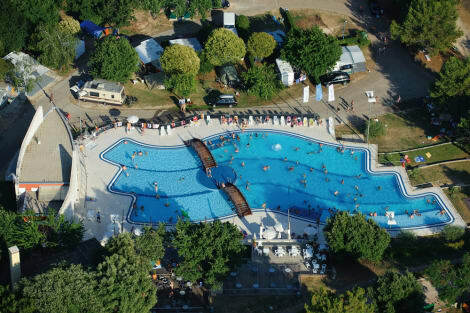 This apartment is 18.3 mi (29.5 km) from Aquacolors Porec and 1.3 mi (2.1 km) from Rovinj Marina. Relax on the private beach or enjoy other recreational amenities such as an outdoor pool and an outdoor tennis court. Additional amenities at this Mediterranean hotel include complimentary wireless Internet access, gift shops/newsstands, and wedding services. With a stay at Studio Emanuel in Rovinj, you'll be within a 10-minute walk of Church of Our Mother of Mercy and Carrera Street. 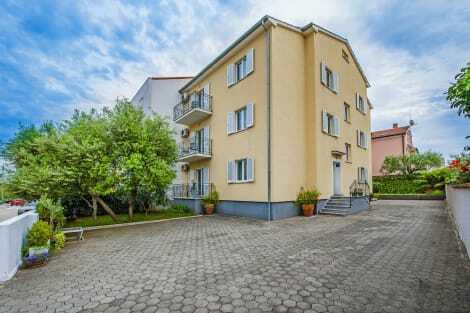 This apartment is 18.1 mi (29.2 km) from Aquacolors Porec and 0.5 mi (0.8 km) from Franciscan Monastery. Make yourself at home in one of the 4 air-conditioned rooms featuring kitchenettes with refrigerators and stovetops. Complimentary wireless Internet access keeps you connected, and LCD televisions are provided for your entertainment. A beautiful waterfront city with colourful townhouses lining the streets, and a Mediterranean climate, Rovinj is a gorgeous destination complete with stunning scenery and a buzzing city centre. The perfect destination for a break in the sun, Rovinj is a memorable place to visit, full of character and charm. Set on the north Adriatic Sea in Croatia, the town has been settled since before Roman times, and has been regarded as a major port throughout the centuries. Today, it's still a busy fishing town, so finding some delicious fresh seafood during your trip will be easy. But this rare gem of a destination has lots more to offer than good food and a pleasant climate. If you're interested in exploring the breathtaking local countryside, make sure to visit the Rovinj islands. Untouched and beautiful, there are plenty of picturesque walks to enjoy. To really soak up the atmosphere of the place, be sure to make time to wander through the streets of the colourful Old Town. It's like taking a step back through the centuries, and there are many great cafés, shops and bistros to discover there. The Rovinj Town Museum is the place to visit if you'd like to brush up on your local history, and for something different altogether, why not head to the beautiful Isola Rossa beach for a spot of sunbathing. Finding the perfect Rovinj hotel is easy in this vibrant, cosmopolitan town. 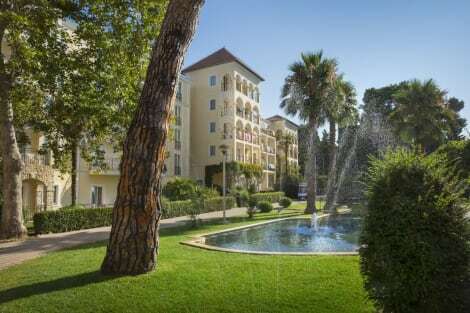 5-star and 4-star retreats include the Hotel Monte Mulini and the Hotel Arupinum. 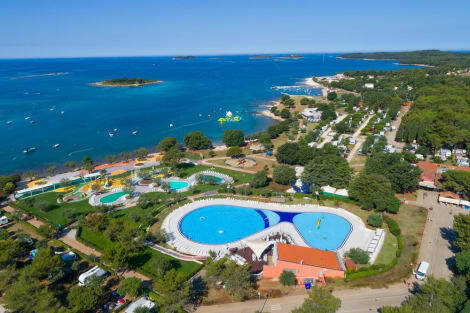 But if you'd like to stretch your money a bit further go for one of Rovinj's affordable hotels like Island Hotel Katarina and Pansion Comfort Exclusive. When it comes to eating out, take time to explore all the restaurants near you. There's lots of choice so you won't be disappointed. To give you a teaser, Monte serves fancy contemporary dishes, Tipico and Balbi are great for authentic Croatian cuisine, and you can sample some fresh seafood at Masera.